Call TSP Today For Your Concrete Driveway! 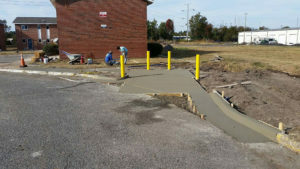 TSP Lawns & Landscaping of Yorktown Virginia is a CONCRETE DRIVEWAYS CONTRACTOR specializing in concrete driveways, tear out's and replacement of residential driveways. TSP can remove your old driveway, grade, and then re-surface your driveway with concrete or pavers. 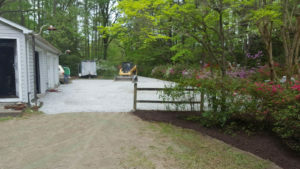 Driveway installer crews service; Newport News, Yorktown, York County, Carroliton, Poquoson, Hampton and the Hampton Roads are of Virginia. Contact us by calling 757-369-9076 or CLICK HERE to email TSP! Best Quality. Best Price. Best Service. TSP has years of experience in landscaping, grading and now residential concrete construction, delivering a consistent product that is made for the customer. Let us guide you down the path to a beautiful concrete driveway that will last longer than the length of time you will own your home. From clean and simple concrete driveways to beautifully decorative, we provide the best in quality for our customers.